Sweet Potato Wedges with Peanut Sauce | Naturally. One of the challenges I love when cooking for others is to help change the narrative a bit around indulgent food. I eat decently 90% of the time but usually once a week, I kick back and eat something completely different. It’s normally something fried and it’s usually always delicious (my favorite is fried cauliflower with a runner up of loaded french fries). However, sometimes I’ve just have a crap day and want something that tastes indulgent but is actually full of goodness. Enter these sweet potato wedges. This recipe contains three amazing parts that come together for, in my mind, a perfect meal. Roasted sweet potatoes are topped with a delicious peanut granola and luscious peanut sauce. It could be an appetizer but I’ve been known to call these dinner. Also, I think this idea would be amazing with Laura’s perfectly crisp sweet potato fries! A delicious appetizer or dinner featuring roasted sweet potatoes smothered with an easy peanut sauce and peanut granola. Preheat oven to 400˚F. Cut the sweet potato into ½” thick wedges and toss with peanut oil and salt. Spread into a single layer on a sheet tray and roast until tender and browning; 30 to 40 minutes. Place the peanuts and rolled oats on a cutting board. Roughly chop until the peanuts are in smaller pieces. Place on a tray covered with parchment paper and add the 1 tablespoon peanut oil, brown rice syrup, and a pinch of salt. Stir until well combined. Bake until browning, 15 minutes or so, stirring a couple times during cooking. While the sweet potatoes cook, whisk together the ingredients for the sauce. 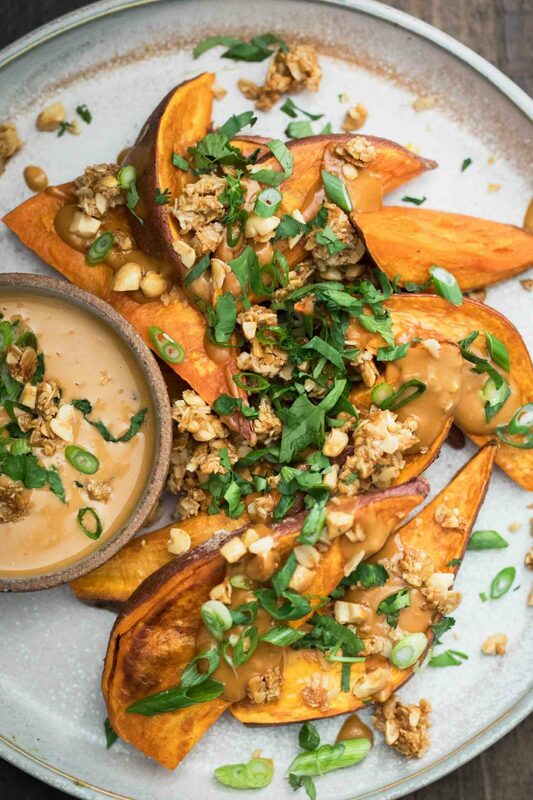 Once the sweet potatoes are done, place on a plate and drizzle with peanut sauce, granola, cilantro, and scallions. Tips & Tricks: Make the peanut sauce and granola ahead of time. Also you will have leftover peanut sauce- use it as a dip or sauce! Soup: This might sound a bit strange but try making a simple sweet potato soup with sweet potatoes, onions, garlic, vegetable broth, and a bit of coconut milk. Then swirl in the peanut sauce and top with a sprinkle of the granola. Tahini/Sesame Seeds: No peanuts? No problem. Swap out the peanut butter and peanuts for tahini and sesame seeds. Produce: This combination also works really well with roasted broccoli or grilled bok choy. I have also done something similar with Brussels but I find their flavor to be a bit strong for the peanut sauce. 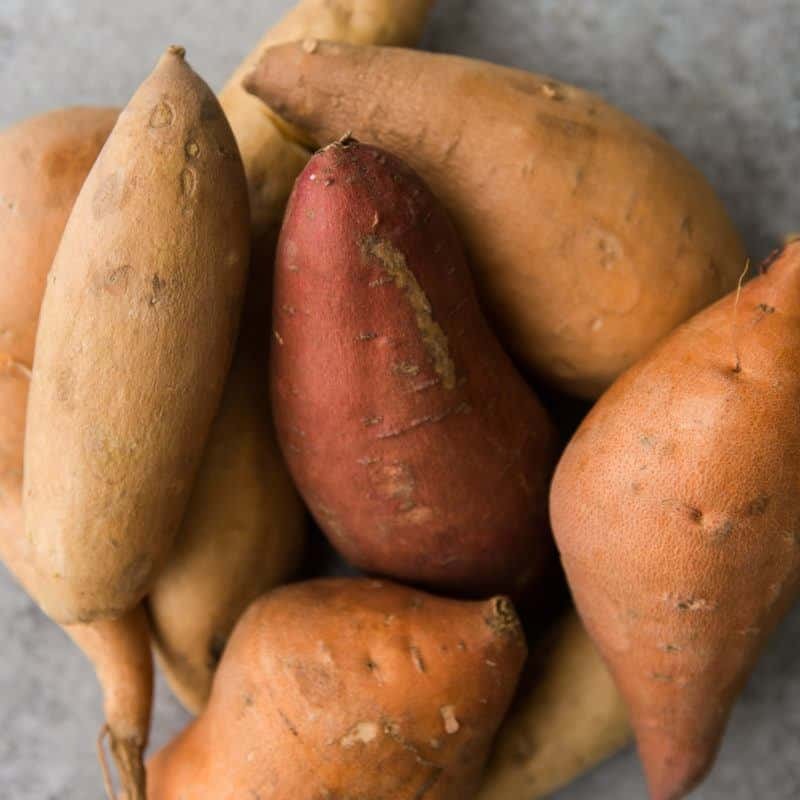 love sweet potatoes and have never made them with these ingredients, so thank you for this wonderful recipe! This looks amazing, what a neat twist on typical potato wedges. Excited to try this! I love peanut sauce, thinking its a special component of making such delicious recipe wants me to crave for more. 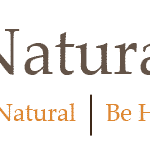 Thank you for the awesome blog.